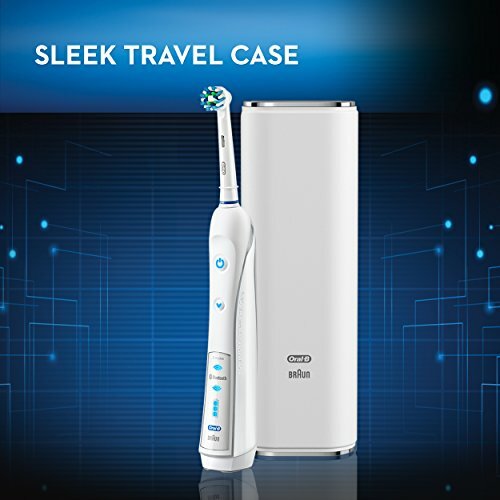 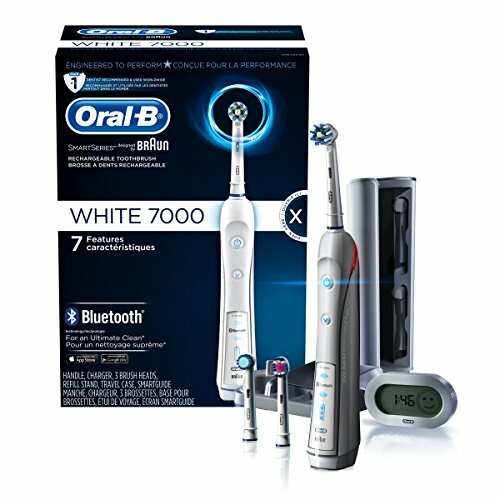 The Oral-B SmartSeries White 7000 with Bluetooth is the world’s first of its kind with Bluetooth connectivity. 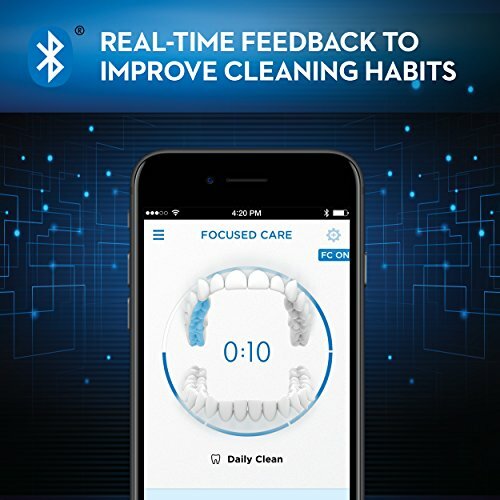 Bluetooth communication allows the brush to connect with your smartphone to give you real-time feedback on your brushing habits. 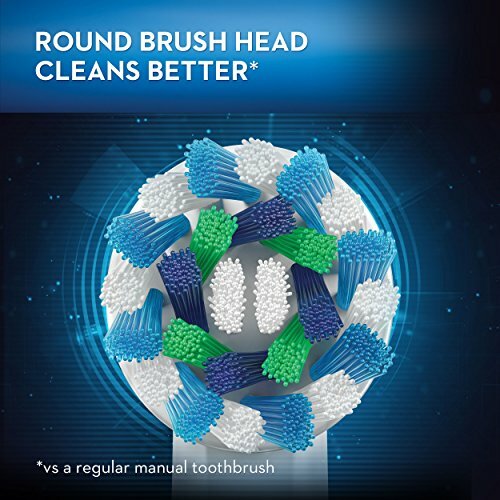 The professionally inspired design of the CrossAction brush head surrounds each tooth with bristles angled at 16 degrees, and 3D cleaning action oscillates, rotates, and pulsates to break up and remove up to 500% more plaque than a regular manual toothbrush. 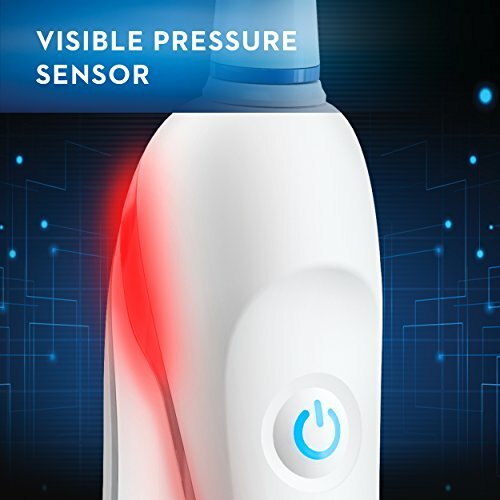 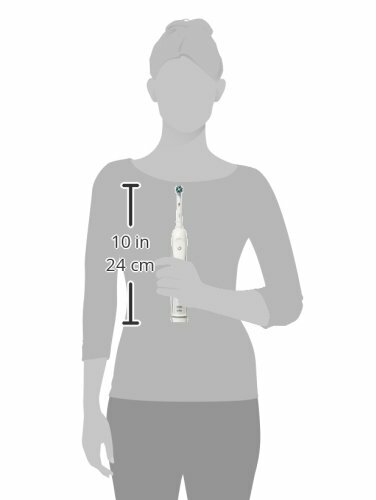 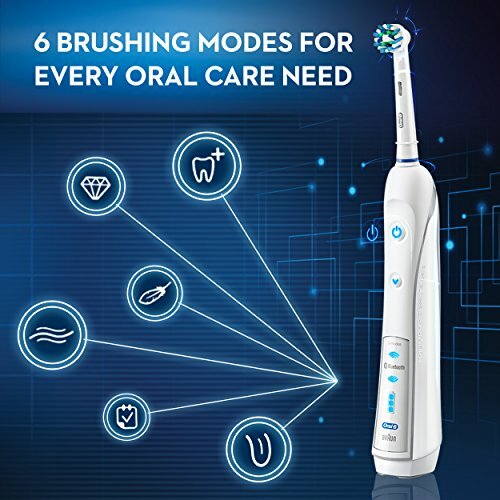 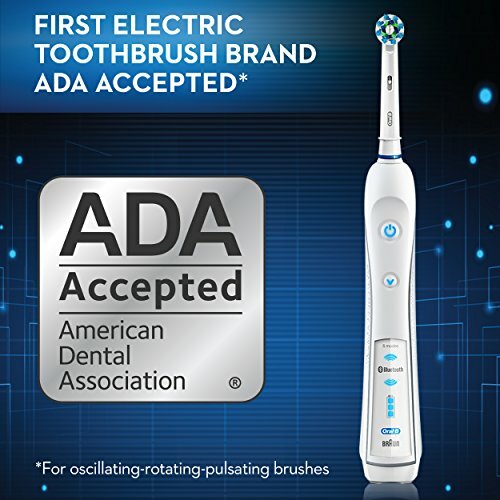 The pressure sensor lights up if you brush too hard to prevent harmful over-brushing and there are 6 modes and a timer to help you brush for a dentist-recommended 2 minutes. 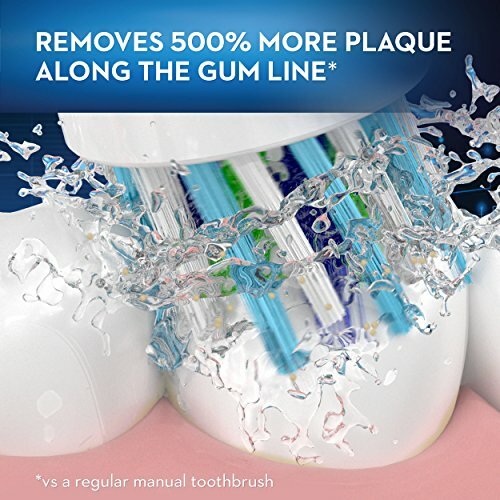 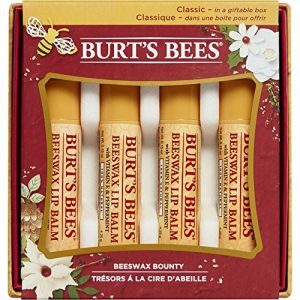 Best of all, it’s brought to you by Oral-B – the #1 brand used by dentists worldwide. 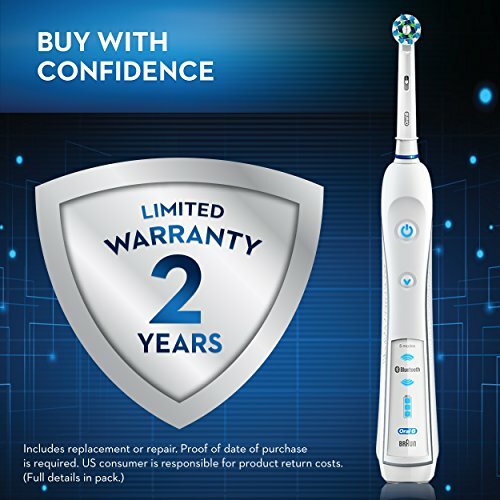 Package includes 1 Oral-B SmartSeries handle, 1 CrossAction brush head, 1 3D White brush head, 1 Sensitive brush head, 1 premium charger with refill head storage, 1 premium travel case, smart guide. 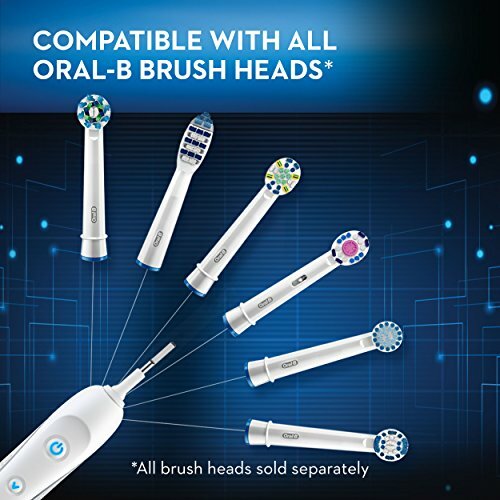 SmartSeries handles are compatible with the following replacement toothbrush heads: CrossAction, 3D White, Sensitive Clean, Precision Clean, FlossAction, Deep Sweep, Ortho and Dual Clean.